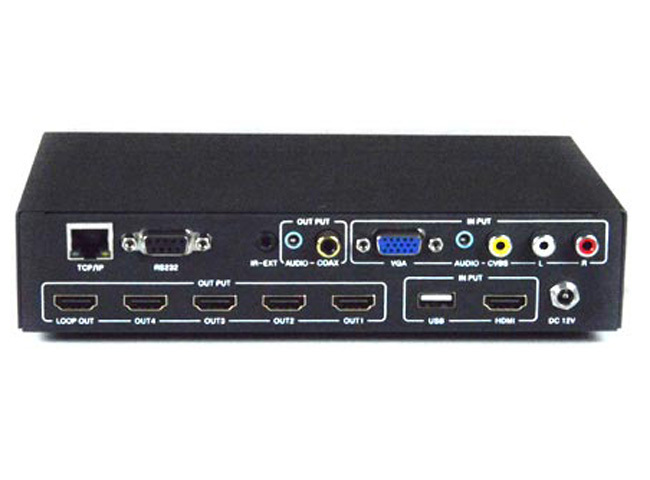 NTI SPLITMUX-VWC-4HDLC Multi-Format HD Video Wall Controller: 2x2 allows you to display the video from one HDMI, VGA or composite video source across four 1080p HDMI monitors. Two processors can be cascaded to create a video wall up to 3x3 - 9 screens. 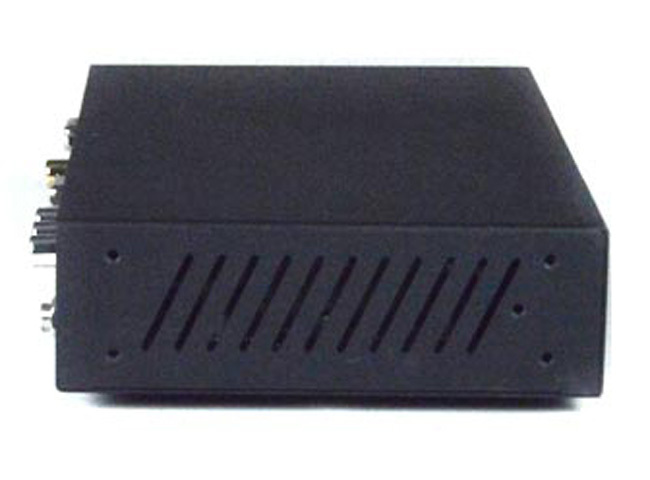 Additionally, it can be used as a video splitter, video converter and video switch. 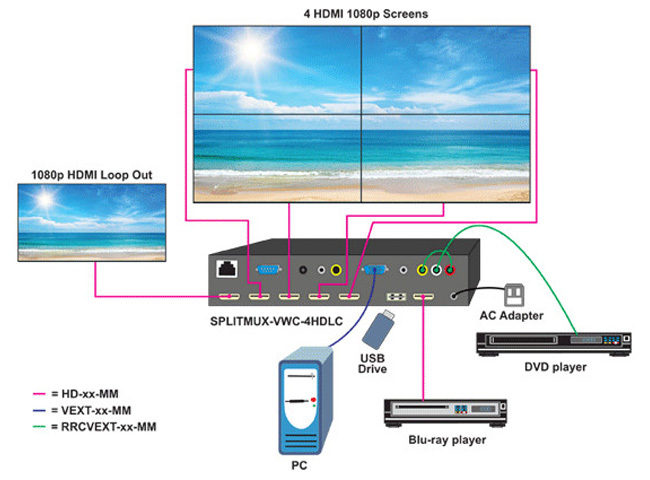 Why not buy this NTI SPLITMUX-VWC-4HDLC Multi-Format HD Video Wall Controller: 2x2 today?